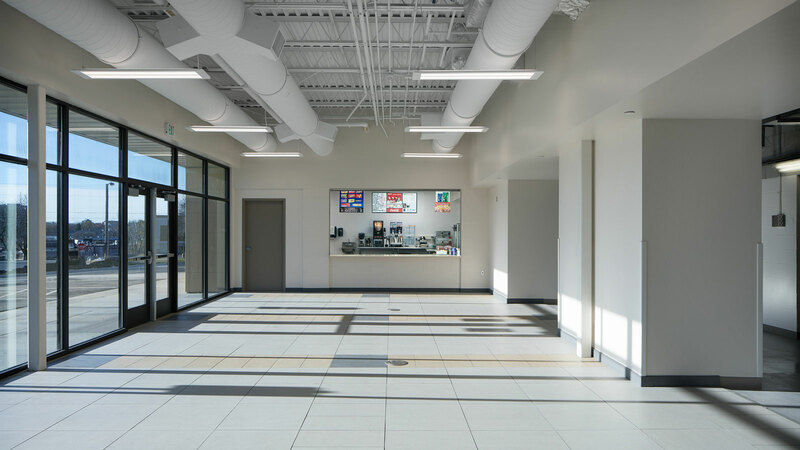 When the City of Rochester decided to build a new Senior Center and renovate the existing Rec Center, the TSP team was chosen as the design partner to create an exciting new facility that would meet the specific needs of aging adults and serve as a broader community gathering and recreational space. The Rochester Rec Center and the original Senior Center already were familiar to the TSP team. 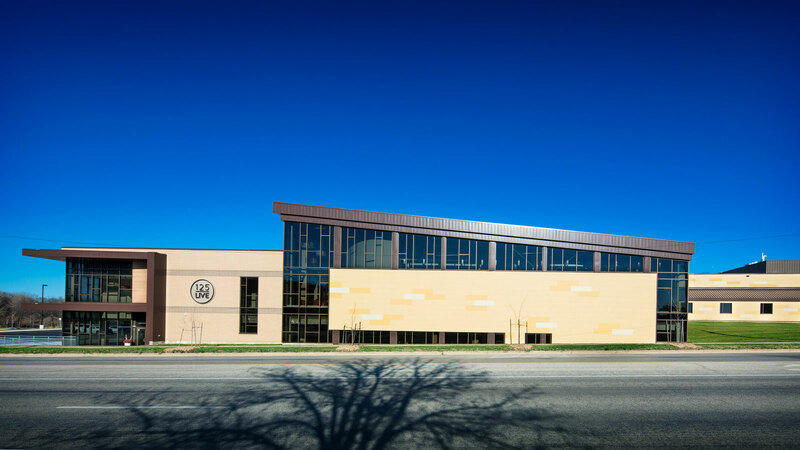 We were the architect for the original Rec Center, along with subsequent additions and renovations, and also had provided design services to convert an armory into the Senior Center. 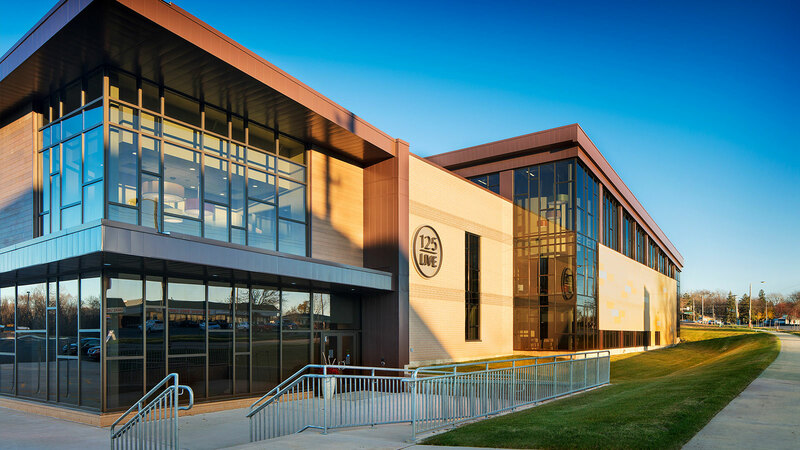 The new 50,000 sf facility offers a more senior-friendly building connected to the existing Rec Center, a popular gathering place for those involved in recreational and competitive swimming and ice skating. This unique opportunity to co-located the Senior Center, renamed the 125 LIVE Center for Active Adults, with the renovated Rec Center creates a vibrant campus to serve the city. 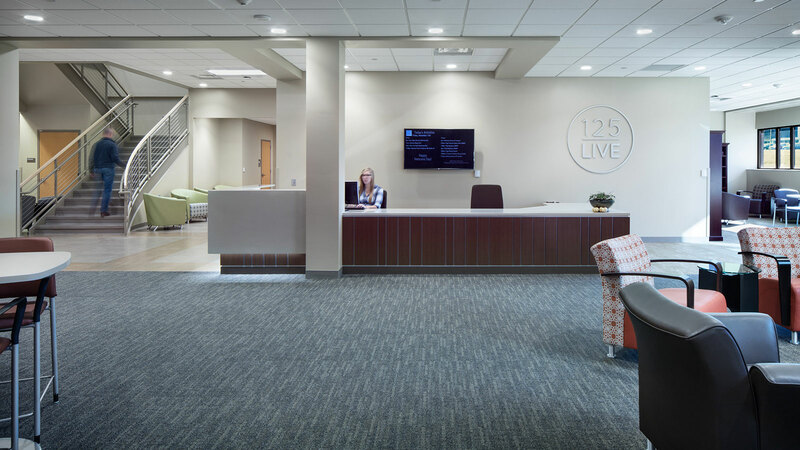 125 LIVE now offers state-of-the-art amenities that meet the physical, wellness, creative, and social needs of aging adults. 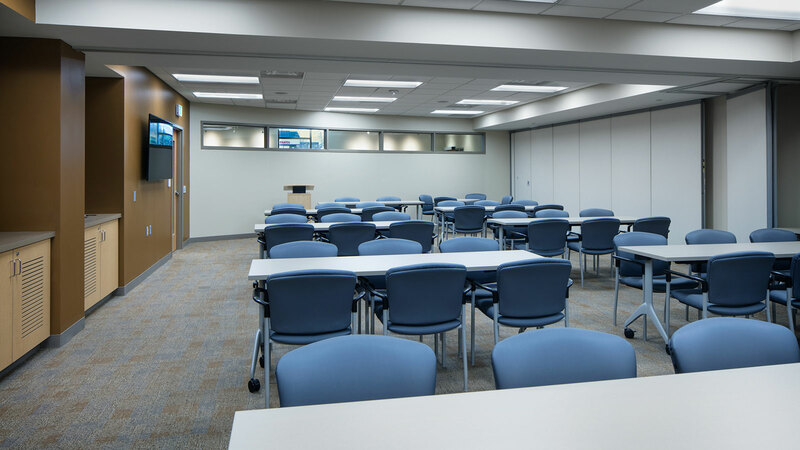 Hearing loops placed in the facility’s floor make it easier for people using assistive devices to hear instructors and join in on conversations. 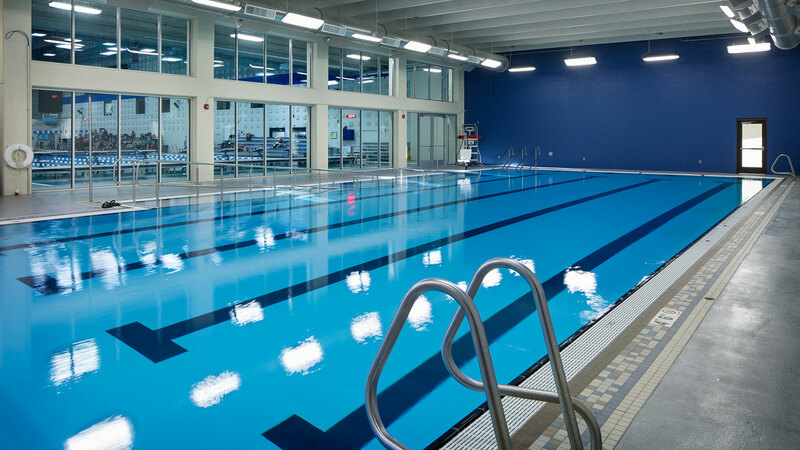 The renovated Rec Center now contains an Olympic-sized competitive pool and a warm-water pool, two sheets of ice, and an updated gymnasium. Individually, these facilities serve their users with plentiful amenities; together they provide new opportunities for intergenerational programming. The classrooms and library at 125 LIVE provide community spaces to think, grow, and explore. Art studios offer separate painting and ceramic spaces to indulge creativity. The 125 LIVE fitness area encompasses two large, light-filled rooms. One allows people to participate in group classes. The other features the latest in exercise equipment, allowing people to cycle, walk, jog, and lift weights, all at their own pace. 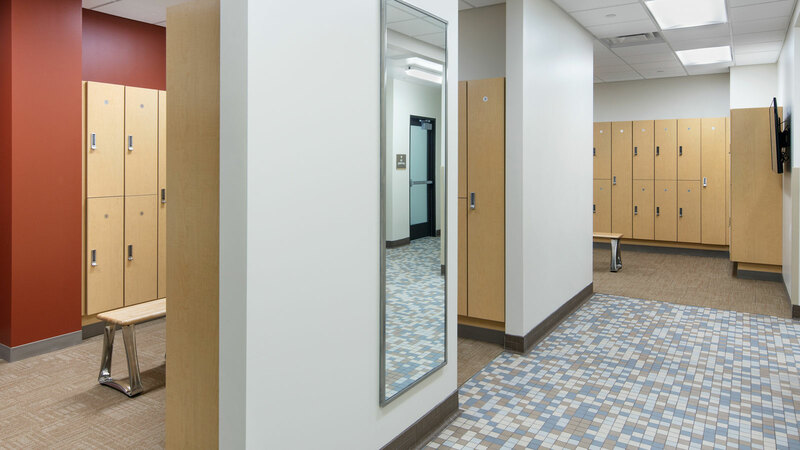 Locker rooms make it easy to reach both the exercise areas and the Rec Center’s recreational pool. Here, the carpeting and paint are specially treated to neutralize odors and prevent bacteria’s spread. 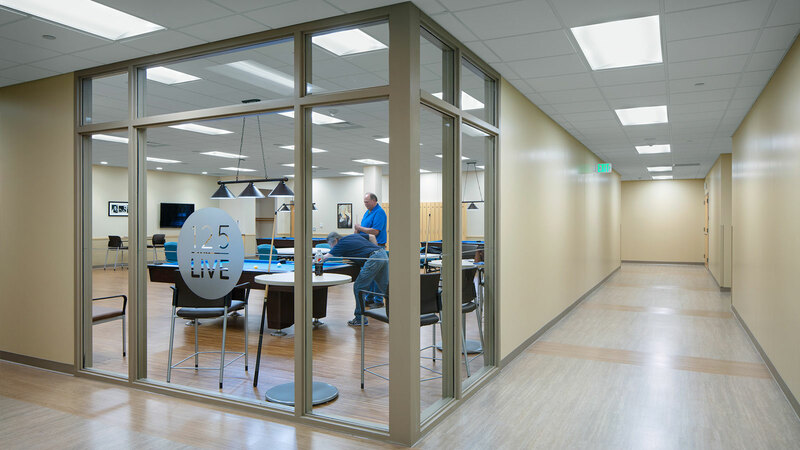 The lower level provides a billiards room, a game room for playing cribbage and cards, and a computer classroom to help members expand their horizons. Space for a future café was included. The River Rooms feature flexible multipurpose spaces that can be used for gatherings such as wedding receptions, family reunions, and group meetings.